Moving home or office is always a big step – a leap, really – when you consider all the unknowns. You can’t ever be 100% certain that the weather will cooperate, that you won’t have financial difficulties at the last minute or some other inconvenience getting in the way of a hassle-free move. But at Moving Service there is one thing that is always certain: we will do anything to help you move within budget, on time and with as few worries as possible. Hiring a moving company can in itself be troublesome, especially if you don’t know where to turn. Trying to figure out which services you need can be as difficult as the packing, if you’re a novice. So why not have us help from the very beginning? Call 020 8746 4402 to have us do a removal assessment and we can help you determine which of our affordable removal services is best for you; we’ll design a package that may include a man and van, a rental van, moving boxes, and whatever else is necessary for your specific move. Let us take care of the moving process from beginning to end – you’ll be glad you did when you are able to focus on all the other tasks involved with moving. You’ll be even gladder for the piece of mind you’ll have throughout. 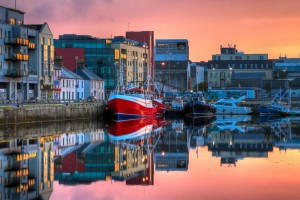 Lough Corrib and Galway Bay are both situated in Galway, which is the largest city in the west of Ireland. It is found in the Connacht province along the River Corrib and comes in sixth on the list of Ireland’s cities in terms of the size of its population. The city’s nickname is City of the Tribes because it was once ruled by 14 different tribes, or large families, who were part of the merchant class. 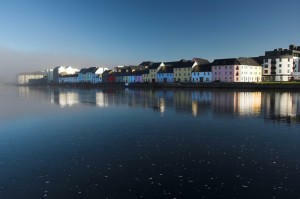 But that nickname is no longer what Galway is most known for, as today it is called the Cultural Heart of Ireland. The large number of events, festivals and cultural activities create an atmosphere of year-round celebration. From traditional music to dance to the annual Galway Arts festival, there is always something going on for newcomers to get to know the city better. Galway’s rich history includes a long list of notable Irish poets and writers and it is also known for the pervasiveness of the Irish language among its residents. The Galway Cathedral, Lynch’s Castle and the Spanish Arch are some of the city’s most recognizable landmarks but Menlo Castle along the River Corrib is the most famous of all. So whether you are moving from London to Galway to find a better job, a larger home, a place for the kids to grow up or to scale down a bit from city life, there really is one choice that you can make right at the start of your planning that will help everything else fall into place. What choice is that? To pick up the phone and ring the removal experts at Moving Service. Contact us online or by phone at 020 8746 4402 to get your free quote and find out how helpful our movers can be. You’ll appreciate our promptness, our affordability and our skill and we’ll do everything to show you how much we appreciate your business. For moving services, removals to Galway, house removals Galway or even office removals Galway, don’t hesitate to higher the best removal company around. With us, best doesn’t mean most expensive, so you’ve not no reason not to call right away, whether you need a man with a van or a full removals package.